Our selection of retractable stanchions provide an aesthetically pleasing look to any restaurant or small business while also maintaining a comfortable distance when things get a little too hectic. 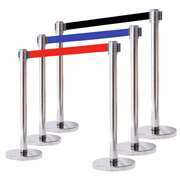 We offer a variety of different color retractable belt barriers so that you have the ability to choose the one that suits your restaurant environment best. We also give you the option to choose a pair of stanchions or a collection of six stanchions if you require a bulk supply. 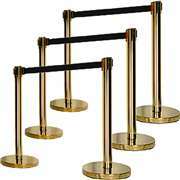 These items come in mirror, satin, gold, stainless steel and black, and they stand 40 inches tall while weighing 17-22 pounds per stanchion set. The belt for these stanchions measures 14 inches in width, which fits perfectly with the featured locking belt pivot ends. 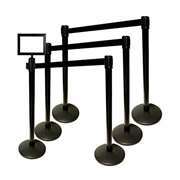 Take a look around at our removable posts for crowd control when you're trying to maintain a sense of tranquility in your restaurant. 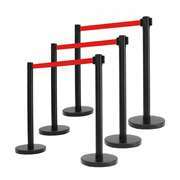 Our customer service reps are always here to help if you have any questions, so never hesitate to reach out if you require assistance. 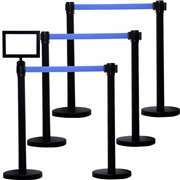 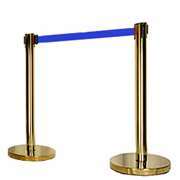 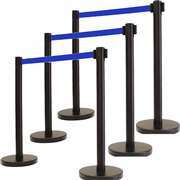 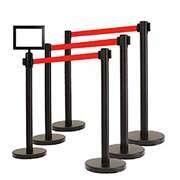 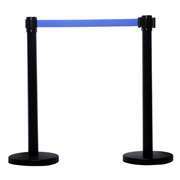 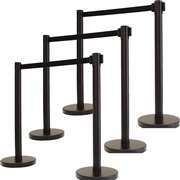 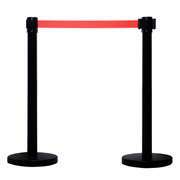 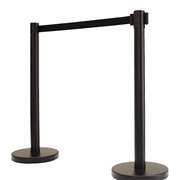 Shop with us when you're looking to buy crowd control stanchions today!